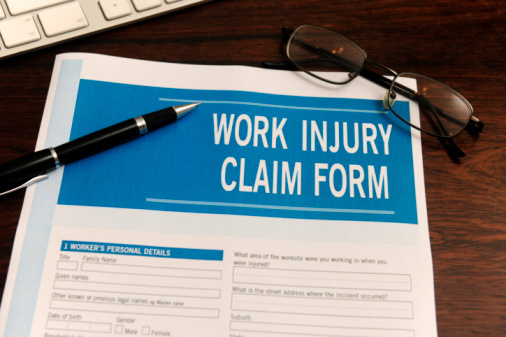 You’ve been injured at work and you want to know: Is my injury covered under workers’ comp? How the accident is described on the claim form may determine whether the claim is covered. You were injured at work. Your Employer is responsible, right? Your injury should be covered under workers’ comp. Well, maybe. The answer depends on exactly how you were injured. What’s an accident? Just what you may have thought: an event that was not planned, unexpected, and unusual. An accident can be a fall, motor vehicle accident, a sudden twist, or any deviation from the normal work routine. It is absolutely critical that someone hurt at work understand the importance of describing an accident to their supervisor or director. When I was a claims adjuster, claims were denied if the individual just described an injury and not an accident. For example, I recall taking a recorded statement from an injury that had a pretty bad knee injury. They had already been to the Emergency Room and there was no question that their knee was hurt. In the recorded statement, they told me that they injured their knee when they were walking down the stairs. They didn’t describe turning, twisting, missing a step, or that their use of the stairs was any different that the other times that they used the stairs. The person was injured but that’s not an accident and the claim was not covered under workers’ comp. As a workers’ comp attorney, I make sure my clients understand the difference between an injury, and an injury by accident. If you’ve been injured at work, but not sure if it was an accident, or would like more information on whether your injury is covered by workers’ comp., please contact my office to discuss. *For more information, see my practice area page on workers’ comp.